In most video games you play as the chosen one. You are destined to do great things which usually involves saving the world. I don’t mind the savior storyline but the trope is kind of overused at this point. It is refreshing when a game decides to do something unique for once which brings me to Outward. In Outward you don’t play as a hero out to save the world. You play as an everyday Jo Schmo trying to make a living in a cruel world. Combining this with a medieval fantasy setting and some interesting mechanics; I thought Outward had the potential to be a really interesting experience. Outward deserves a lot of credit for creating a unique experience that unfortunately is rough around the edges. We at Geeky Hobbies would like to thank Nine Dots Studio and Deep Silver for the review copy of Outward used for this review. Other than receiving a free copy of the game to review, we at Geeky Hobbies received no other compensation for this review. Receiving the review copy for free had no impact on the content of this review or the final score. Outward begins with you and your companion (if you are playing co-op) waking up after your ship crashes. After a little exploring you return to your home village where you find out that you are not a typical video game hero. Instead of being the chosen one that will save the world, you are rudely awoken to find out that there is a blood debt on your head. You must pay off your debt or you will lose your house. As you can’t make enough money staying at home, you must venture forth into the wilderness to earn money and create your own legacy. For those of you skeptical that the game treats you like a nobody, that is not an exaggeration. From the start the world is out to get you. You start out with very little. Your fellow townsmen think so little of you that they are hesitant to even let you leave the city gates. They are right to think so as your character is pretty incompetent when you start the game. You have no access to magic and the only weapons you will have are what you can scrounge up from around town. When you eventually are able to leave town you have to always be careful as even the most harmless looking creature can kill you. Outward is not the type of game to hold your hand. You are a normal adventurer after all. Worrying about being killed by various wildlife or bandits is far from your only worry in Outward. You also need to make sure you are always fed and have enough water as you can die from hunger or dehydration. You also have to regularly sleep with the possibility of being ambushed by things trying to kill you. Players also have to deal with being poisoned, becoming sick and even worrying about the weather as you can’t become too hot or too cold. On top of all of this Outward doesn’t let you go back and change your decisions. Unlike most games that let you pick and choose when you save, Outward is basically always saving. Unlike other games that let you have multiple saves and then reload another save if you don’t like the outcome, that is not possible in Outward. You are stuck with every action you make in the game. When you are “killed” (you don’t actually die in the game) you have to live with the consequences of that death. If you can’t retrieve your pack you lose almost everything you had on you when you were killed. You then either start from scratch (plus whatever you stored in chests in your home) or you struggle to get your pack back. It should already be quite clear that Outward is not the type of game for the faint of heart. The game is far from easy and can be quite difficult. The game is not forgiving at all and it will not hold your hand. If you like easier adventures I will tell you to stop reading right now because you will not like Outward. If you are the type of gamer that likes a challenge though, Outward might be the type of game that you are looking for. Generally I wouldn’t put myself on either end of the spectrum. I don’t mind a challenge, but I don’t like games where you end up banging your head against the wall until you finally succeed. With that said I think one of the best things about Outward is the story you create yourself while playing the game. To illustrate I want to recall the adventures of my first hero and his companion who were quite incompetent. After a process that took longer than it probably should have, we finally made it out of our hometown. We gather some plants along the road and then encounter a wild chicken that looks a lot like a Chocobo. The bird is being attacked by two NPC characters, so we decided to help them kill it. After killing the bird we thought we could loot it but was surprised when these two bandits turned on us. They eventually killed us. This brought us to a bandit camp. All of our items had been taken by the bandits. As soon as we left our cell we were immediately attacked by a guard dog. One of us were killed and the other player made a run for the gate as that was the only way we were ever going to escape. At this point neither of us really had any items as we were unable to retrieve our bags. We decided to return to our hometown to try and regroup. At this point it was getting dark and we had no torches or lanterns so we could barely see anything around us. As we were walking towards town we encountered a new group of bandits. We learned from our first experience with bandits and tried to make a run for it. What good that did as they caught up to us and killed us again. At this point these two adventurers felt like lost causes so we started again with two new adventurers. Things have been going better with these two but the journey has still been rough. I brought up this story as I think it does a fantastic job explaining what it is like playing Outward. While you could tell that we weren’t having much success, we were still having fun as it was kind of funny how worthless our adventurers were. Everything in Outward is a challenge. There will be setbacks and triumphs. The game is frustrating when you die but rewarding when you succeed. All of your successes and failures lead to a unique experience where each adventure feels unique. While you could still enjoy the game by yourself, I would highly recommend playing Outward with another player. I give the game a lot of credit for embracing the co-op experience. This even includes a splitscreen mode. While I think the game could have been nicer and gave enough of all of the starting materials for both players, the game is more enjoyable with a companion. Having a companion makes the game a little more forgiving as they can revive you. The greatest part of the multiplayer though is that you have the opportunity to share your adventure with another player. Outward has a lot going for it. It is a unique experience blending a lot of different mechanics together. Unfortunately Outward is quite rough around the edges. Let’s begin with the story. I liked how you could create your own story based on your adventures. Unfortunately the underlining story of the game is not that interesting. The game has some interesting ideas that divert from your typical fantasy tropes but they just don’t pan out. The story becomes boring after a while. What makes this worse is the fact that I didn’t really find any of the characters to be all that interesting. After a while I lost interest in the story altogether. This lead to me skipping through dialog pretty quickly. On top of the story the presentation feels kind of outdated. The graphics aren’t horrible by any means but they feel more like a PS3/Xbox 360 game than a current gen game. Some of the creatures and locales look pretty good. The character models do not look good though. People who like to put a lot into designing their characters will be disappointed as there aren’t a lot of customization options. The graphics aren’t bad enough that they become distracting but I wouldn’t consider them to be a selling point for the game. On top of the visuals I thought the voice acting was not great either. Outside of the presentation Outward also has bugs. After taking a break from the game, one of our characters was missing most of the items from their bag. We don’t know what happened to the items but they somehow disappeared. Another bug made our map totally pointless. When we brought up the map, instead of seeing the map we saw another image. Not being able to see the map basically made it impossible to navigate. The map was not restored until we restarted the game. Outward also seems to lack polish. Lets begin with the combat. The combat is not awful but it feels clunky at times. Like Dark Souls and other similar games, the combat is not meant to be fast paced. To succeed there is an emphasis on dodging, blocking, and taking your time while attacking enemies. This isn’t my favorite type of combat but I wouldn’t have minded except that something feels off about it. At times the controls don’t feel responsive. This leads to the combat not being all that enjoyable. It is not horrible but I think more polish could be added to it. The game is also missing a lot of quality of life improvements from most modern games. I don’t know if this was a conscious choice but at times Outward feels like it is stuck in the past. Players who are fond of adventure games from the past may appreciate these choices but I didn’t care for them. For example the game gives you a map but doesn’t tell you where you currently are on it. This forces you to navigate by comparing nearby landmarks with your map. This makes the game more realistic but I found it to be a hassle as I would have preferred to just know where I was in the world. The game’s UI could also have used some work. These additions may have made the game a little easier but I think the trade-off is worth it. To top this all off I have to talk about the load times. The load times in the game can be atrocious at times. It got so bad that I dreaded the next loading screen. I played the game on Playstation 4 and I regularly encountered load times that would take at least a minute. Each time you enter a new area, go to sleep, or die you are “treated” to a new loading screen. The game usually loads a pretty large area of the map each time but the load times get out of hand at times. As far as the game’s length I can’t give you a definitive length as I have only played the game for a couple hours at this point. With that said if the game appeals to you I would be surprised if you couldn’t get a lot of time out of the game. The world seems quite large giving you plenty of places to explore. As I mentioned earlier it is also easy to make your own adventures. You could easily go out on your own adventure with no goal in mind. 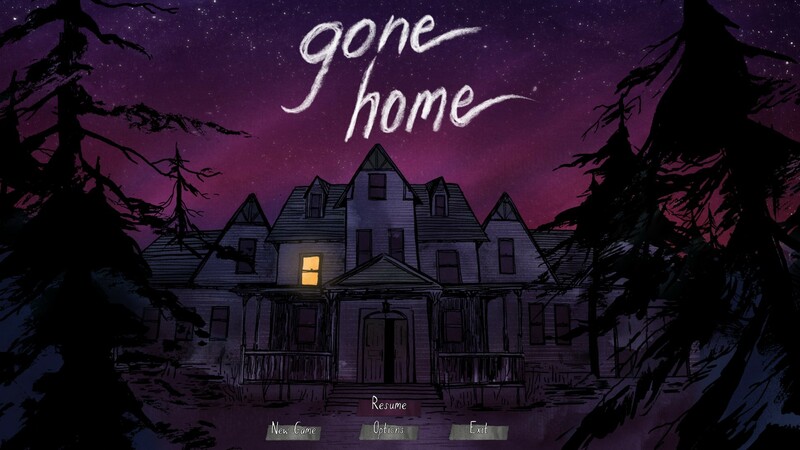 I am not sure if there are branching storylines but I still think the game has quite a bit of replay value as each time you play the game will be a different adventure. Outward is kind of an enigma for me. The game does a lot of things right while at the same time having a lot of problems. Outward is not afraid to be unforgiving. This is not your typical video game as it won’t hold your hand. You will die regularly and you can’t avoid the consequences as the game regularly autosaves. This is going to frustrate some players but it does lead to some memorable moments. 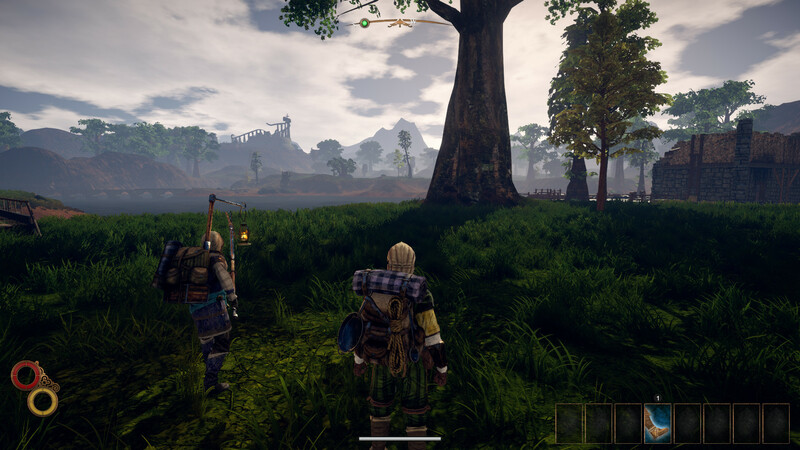 Outward does a good job allowing you to create your own adventure while adding in some unique mechanics. Unfortunately the game is flawed. The presentation has issues as both the story and visuals could have been better. The combat also feels clunky at times. On top of all of this the game is lacking a level of polish that would have benefited the game. There are things I liked about Outward but it is an overall flawed experience. For this reason it is going to be somewhat hard to make a recommendation for the game. If you don’t like really difficult games or don’t really care for Outward’s premise, I can’t see you really enjoying the game. If the premise sounds interesting to you, it all comes down if you are willing to overlook the game’s flaws. People who are cautious about the flaws I pointed out should consider waiting until some of them are fixed or the game goes on sale. If you are able to look past the flaws though I think you could really enjoy Outward and should consider picking it up. Combines a lot of interesting mechanics to create a unique experience. The stories you create while adventuring can be entertaining. The story and visuals could use some work. The game lacks some polish and has occasional issues with the gameplay.